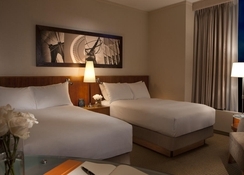 Millennium Hilton New York Downtown is one of the best hotels to stay in New York. It is within close vicinity to several attractions, shops and restaurants. 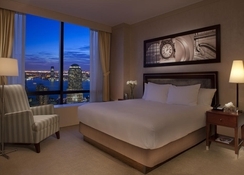 Some of the closest attractions to the hotel include World Trade Centre, One World Observatory and 9/11 Memorial and Museum. Moreover, it is only 6 stops away from the Times Square through express subway. Within the hotel, you will find a lovely swimming pool, where you can take a relaxing swim. Those who want to maintain their fitness level can take advantage of the fitness centre. 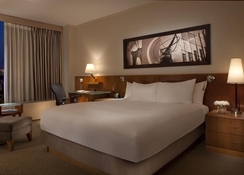 Thus, the hotel’s premier location and luxury amenities make it one of the best places to stay in New York. 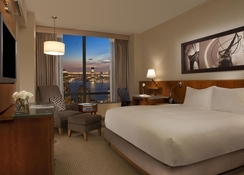 The Millennium Hilton New York Downtown enjoys a prime location in Lower Manhattan. It is only 5 blocks away from the Brooklyn Bridge and not more than 10-minute walk and a short ferry ride from the Statue of Liberty. Additionally, you can also pay a visit to other prominent attractions near the hotel, including Wall Street, National 9/11 Memorial, South Street Seaport and Century 21 Shopping. The JFK International Airport is about 30km from the hotel. 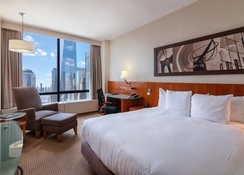 Millennium Hilton New York Downtown offers rooms in numerous categories to match the needs of singles, couples, families and group of friends. They are divided into three categories namely Guest Rooms, Suites and Accessible Rooms. All these rooms are luxuriously furnished with comfort and elegance; you desire for a dreamlike stay. They include the following amenities: 42" plasma screen television, cordless telephones, coffee maker, hair dryer, air conditioning and many more amenities. Church & Dey and Liquid Assets are the two dining and drinking avenues near the hotel that will definitely satisfy the appetite of guests from across the world. Additionally, there are numerous bars and restaurants just a few steps away from the hotel. The hotel’s staff members will have a professional and friendly approach and will give you suggestions to choose the best food combinations. The hotel offers in-room service. 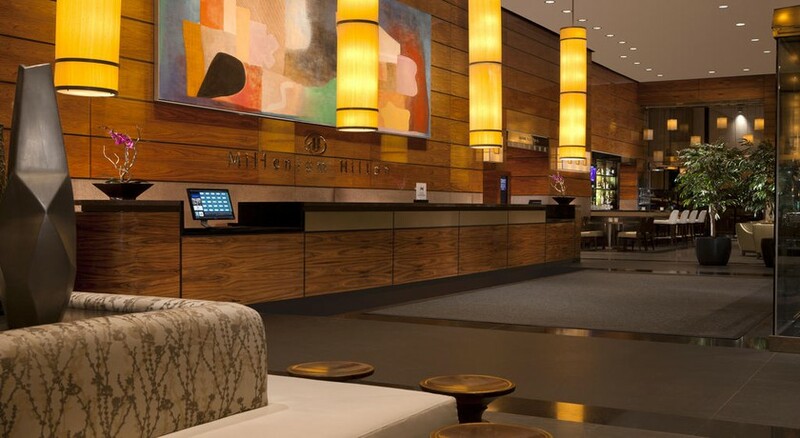 At Millennium Hilton New York Down, you will find plenty of sport and leisure facilities in and around the hotel to keep you and yours engaged throughout the day. There is a lovely temperature-controlled swimming pool, where you can take a relaxing swim under the supervision of the hotel staff members. Other than this, there is a fitness centre that will help the guests maintain their fitness level.